Notice anything different around here? :) I'm so in love with the new clean look of my blog. Thank you Carrie for helping me get my blog just right. I've been meaning to post this layout I created for Mei Li Paperie's Color Challenge. If you're into challenges, and especially if you're in Asia, do check them out! Introducing, my niece, Afrina Zahra. I think you will be seeing and knowing her as well as you know my girls in time to come. Photo taken when she was 4 days old, and she has changed so much since then. Babies, eh! Lots and lots of Crate Paper here. 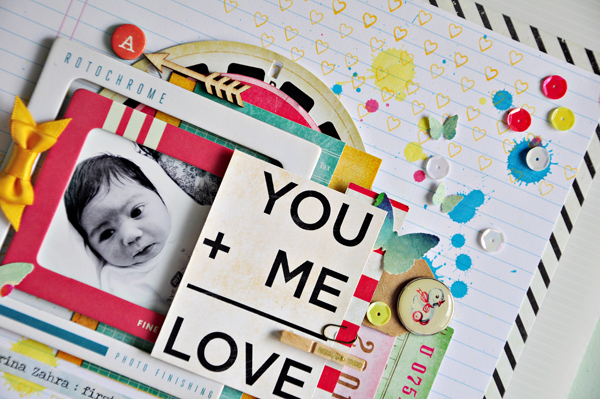 Lots of layering, lots of splattering of Mister Huey, lots of love. I used my Color Mist Droppers, stood up above my misting box, made sure the fan was switched off and squeezed the dropper to get big splatters (blue and yellow) like you can see on the layout. i ADORE this layout so so much, the design, the colours, the materials, just everything. Ohhhh, how cute! I always love your colorful layouts! Great layout! Gorgeous Sasha!! 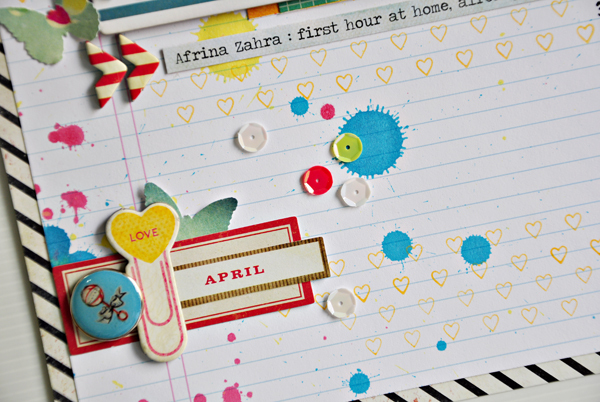 Love the bright colors, the hearts, the splatters, the sequins...everything! Gorgeous! LOVING the colors and those layers!!! How lovely! Those colours are just bursting off the page! What a bright fun layout! 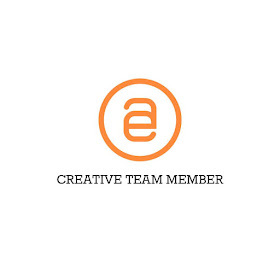 And your blog looks great too! This turned out incredible! Love the rainbow of paint splotches and sequins, paired with the bold black and white border! Congrats on becoming an Aunty to this little sweetheart. Love your bright, fun, fresh layout of her. Anxious to see more of your little model as she continues to grow. SO sweet! LOVE her name too! !